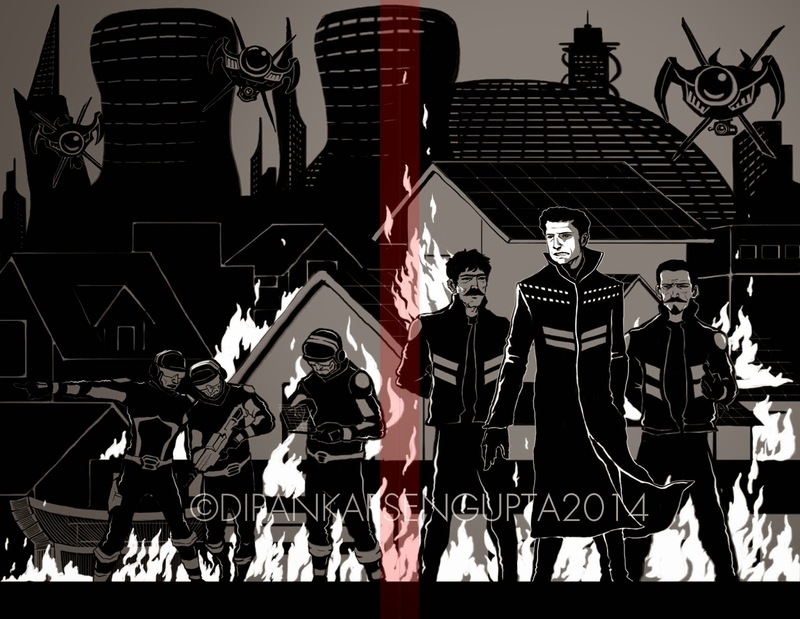 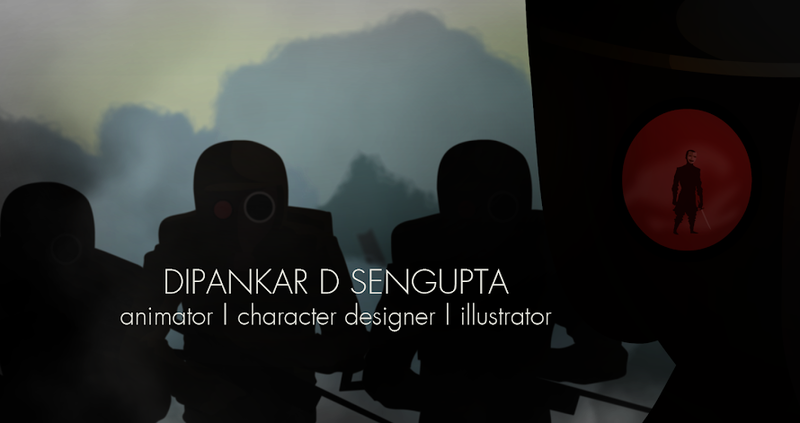 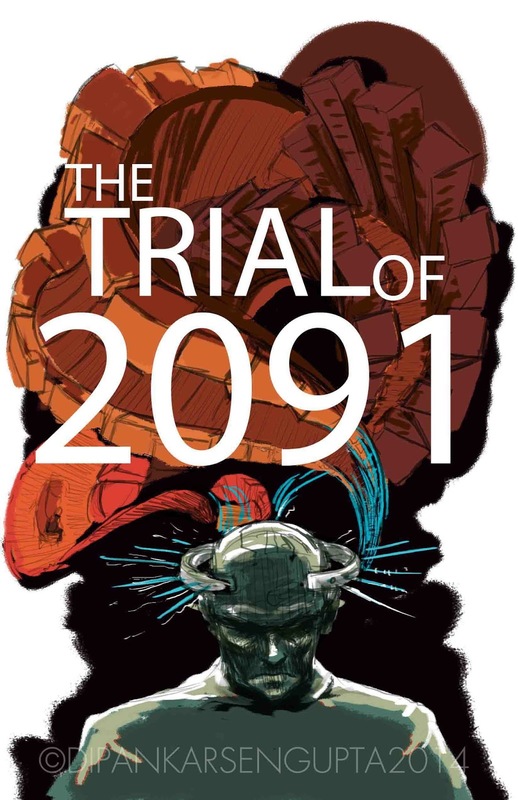 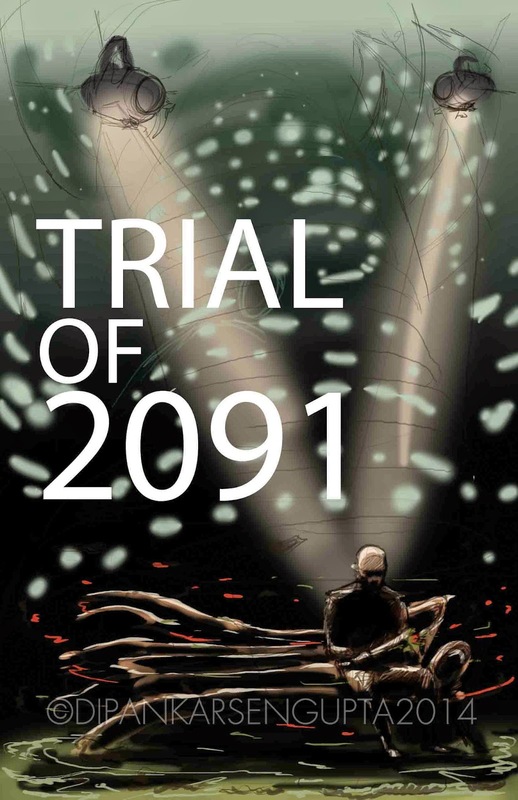 I recently had the pleasure of working on a science fiction book illustration project for the soon to be released book " The Trial of 2091 " written by Sarang Gupta. 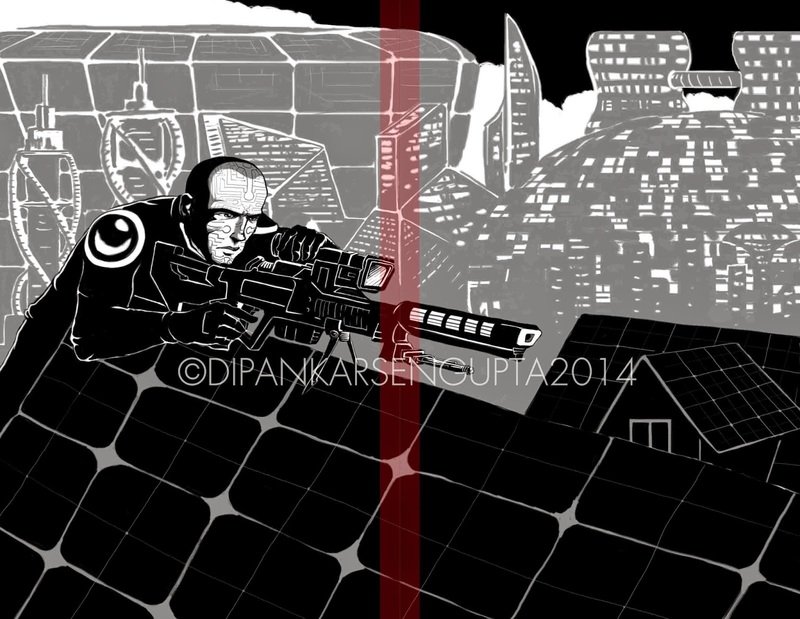 The website link here might give an idea regarding the contents of the book. 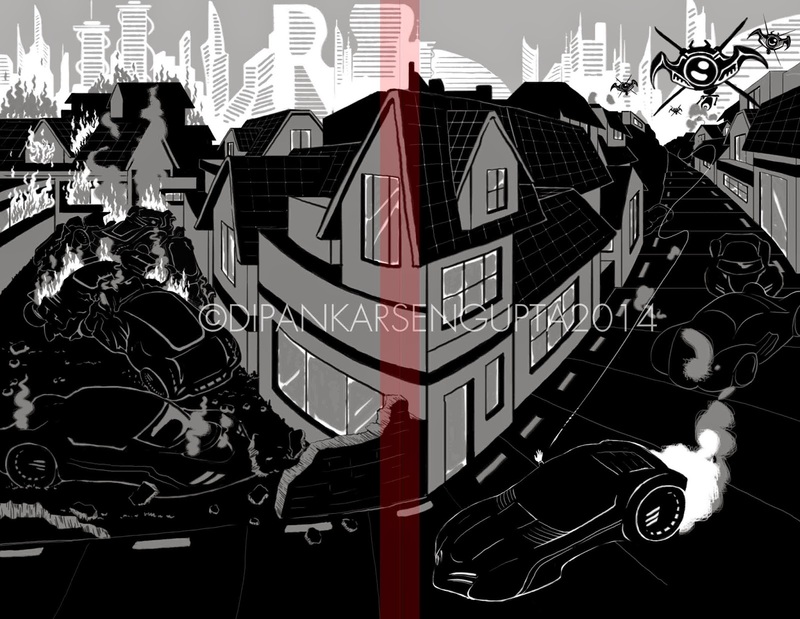 It was quite an exciting project with its own constraints and freedoms, constraints regarding the limitations in the usage of colours and keeping in mind the paper quality on which they were to be printed, and the freedom of visualising the environment and cityscape of the time period that I was dealing with here - a futuristic utopia. 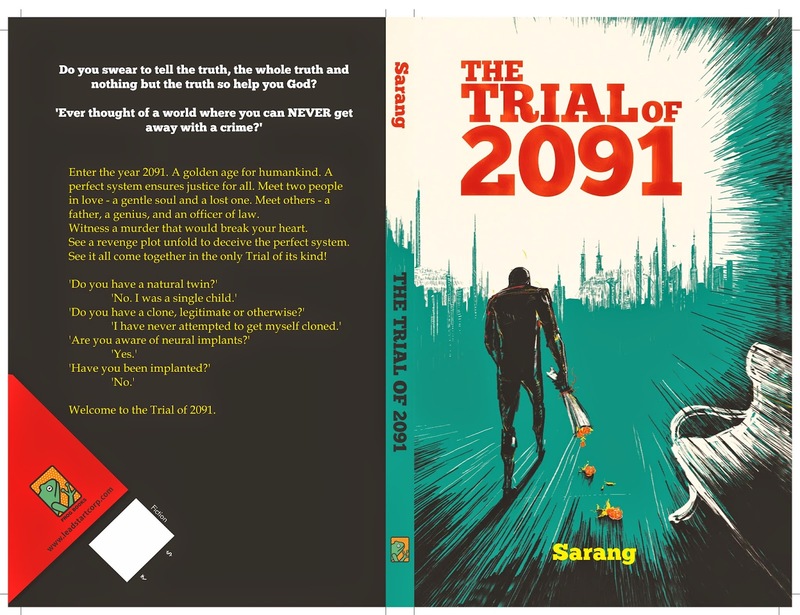 This is the debut novel of science fiction enthusiast Sarang Gupta, I really look forward to more great stuff coming from him.